City bus No. 29 connects Kaunas Airport and Kaunas city. City bus line route going from City Center: M.K.Čiurlionio str. 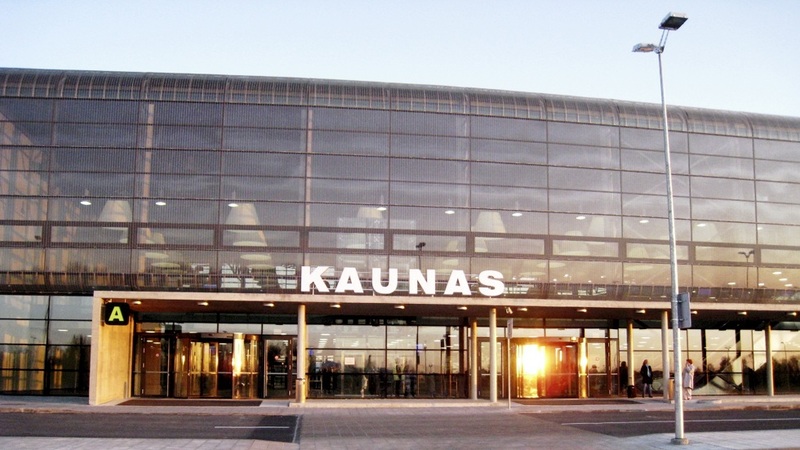 (Kaunas Train Station) – Vytauto ave. (Kaunas Bus Station) – Kestucio ave. – Vilniaus ave. – Savanoriu ave. – Kaunas Airport. City bus line route going to City Center: Kaunas Airport – Savanoriu ave. – E. Ozeskienes ave. – K. Donelaicio ave.– Vytauto ave. (Kaunas Bus Station) – M.K.Čiurlionio str. (Kaunas Train Station). If you arrive to Kaunas on a late night flight, City bus No. 29E is for your convenience. Every day the bus leaves the Airport for the city centre only after the last flight has arrived. Disposable paper tickets are valid for only one trip (the same single-trip ticket cannot be used for a second trip). After buying a single-trip ticket, you must validate it immediately upon boarding the vehicle. Please note that the paper ticket must be put into the puncher which prints the date and time of the validation. Be sure to save the validated ticket for the whole trip time. Pay attention that paper tickets can be validated only in 2 punchers of the 3 fitted in the bus or the trolleybus, the puncher situated closest to the driver is designed for e-tickets only. You can also buy a ticket from the driver. Please buy a ticket from the driver immediately after boarding the vehicle. Please note that for security reasons drivers do not carry cash with them, so please be prepared to pay the exact amount of money (2 LTL). Paper tickets purchased from the driver must not be validated using ticket punchers. E-ticket is a plastic card which may be loaded by one or more kinds of transport tickets. When purchasing at the distribution site (a newsstand) - 1.8 LTL. When purchasing from a driver (only paper tickets) - 2 LTL. TIP! At the Airport bus tickets can be purchased at the outlet Rkiosk located in the Arrivals of the passenger terminal. Local currency Litas and bank cards are accepted for payment. If you do not have any money in Litas, you can exchange your money at a currency exhance office of Medicinos bankas orBank Snoras at the Arrivals. Working hours are coordinated with the flight schedule. All Kaunas City public transport tickets can be purchased at newsstands that are located all around the city, most often close to bus stops, as well as outlets Rkiosk.